Having that feeling that you are in control of your life and your body is probably one of the most important things to a young adult today. Whether that be through getting the chance to choose the kind of education you want, or maybe it’s dyeing your hair a crazy colour of purple for something new to try out! I recently had the chance as a female student at Canadore to feel the empowerment and that feeling of wanting control of my own body. 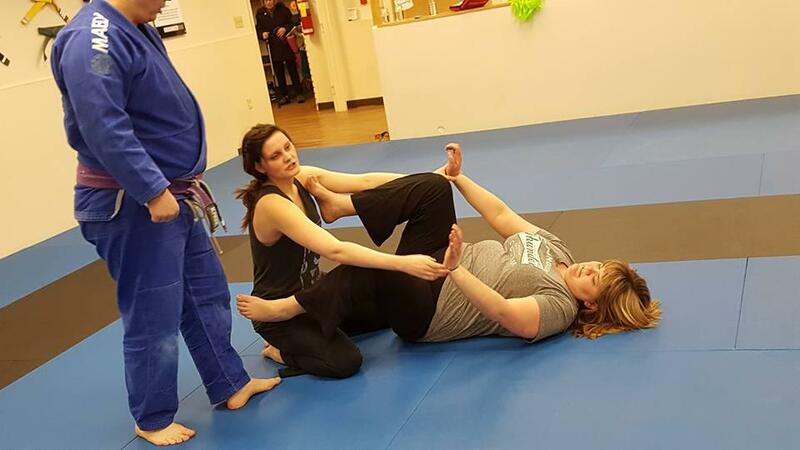 Through the Office of Inclusion and Diversity, North Bay’s Grounded Studios held a self-defense workshop for female Canadore students. 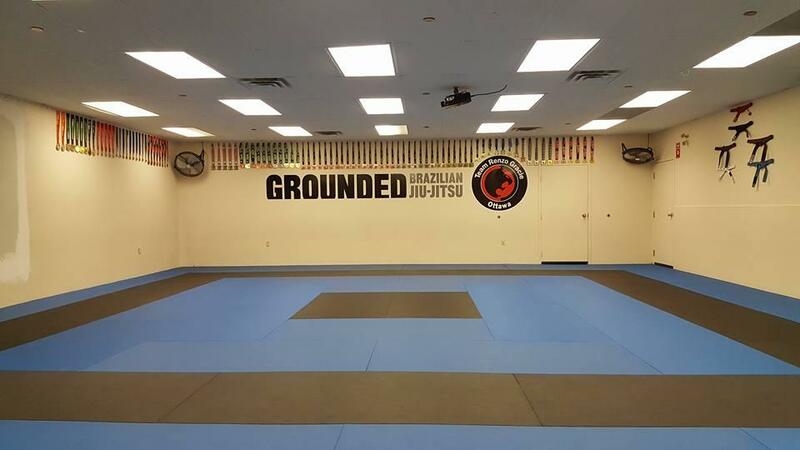 The studio focus on different kinds of yoga, like aerial and chair yoga, while also offering Brazilian Jiu-Jitsu, a martial art/combat sport that focuses on wrestling moves and ground fighting, to the general public. With Adam and Travis, our two experienced instructors in Jiu-Jitsu who made sure that we were having fun at all times, we shared a lot of jokes and still learned about different self-defense moves. Throughout the workshop, my friend Kayla and I decided to pair up and work on the different moves together. Even though Kayla and I had a challenge with our height, we still managed to have fun and found ourselves giggling no matter what kind of scenario Adam and Travis put us through. When we were having difficulty, they were always there to help us out, while also making sure that we were being challenged at the same time. Don’t worry, Kayla and I didn’t hurt each other either! These are just some of the many activities that the Office of Inclusion and Diversity and other departments of the College hold throughout the year! If these self-defense classes are something that interests you and want to take part in next year’s class, keep an eye out on Canadore College's Facebook throughout the year!